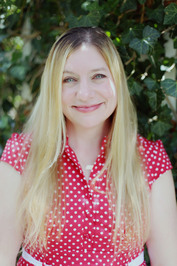 To ask Heather Lyons questions, please sign up. Hello Heather! Do you plan to write any more mythology based books?? Heather Lyons Actually, yes I am! I'd love to explore other mythologies. ❤ Jane ❤ Hades please!!!! GAHHH! Kristina I couldn't put this book down, it was THAT amazing! <3 looking forward to more mythology-inspired books! Seriously. The Deep End of the Sea is all I can think, dream, talk about. I have literally told my book club members if they do not love this book then I will never talk to them again, and they will be kicked out of my club haha. It is now easily my favorite book I have ever read. Please tell me you have future books, similar to this book, planned? 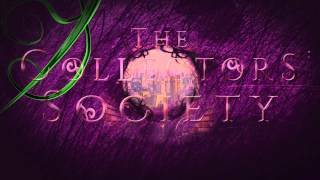 The Collectors’ Society is Now Available in Audio! 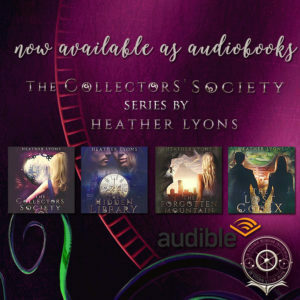 I am super thrilled to announce that Audible bought the rights to the Collectors’ Society books, and now all four in the series are available as audiobooks. Callou, callay! The narrator, Gemma Dawson, makes for a fierce, frabjous Alice, and it’s been so much fun hearing the Society come to life. You can purchase them now at Audible; the links are listed below. We’d love your help. Let us know what’s wrong with this preview of Time's Convert by Deborah Harkness. Heather voted for Dragonwatch (Dragonwatch #1) as Best Middle Grade & Children's in the Opening Round of the 2017 Goodreads Choice Awards. We’d love your help. Let us know what’s wrong with this preview of A Matter of Heart by Heather Lyons. We’d love your help. Let us know what’s wrong with this preview of A Blade So Black by L.L. McKinney. “I run. I kick. I punch. I listen. I write. I give. Thanks so much for acepting my friendship request here on Goodreads! I look forward to reading and discovering your work.